Ans. Solar energy takes advantage of the sun’s rays to generate heat or electricity. It is an infinitely renewable resource and unique for its ability to generate energy in a quiet, clean, and consistent manner. Ans. Sunlight on photovoltaic modules produces direct current (DC) electricity, which is converted to alternating current (AC) by a device called an inverter, which is then wired into your main service panel where it feeds your internal power grid. Q:.How do solar photovoltaic cells work? Ans. In layperson terms, photovoltaic cells are comprised of a semiconductor material such as silicon. Added to the silicon are the elements phosphorous and boron, which create conductivity within the cell and activate the movement of electrons. The electrons move across the cell when activated by the sunlight’s energy into the electrical circuit hooked up to the solar panel. Q:.What’s a typical solar panel efficiency rating? Ans. Most solar panels are around 11-15% efficient. The efficiency rating measures what percentage of sunlight hitting a panel gets turned into electricity that you can use. The higher the efficiency, the less surface area you’ll need in your solar panels. Although the average percentage may sound a little low, you can easily outfit a typical roof with enough power to cover your energy needs. Q:.What are the most efficient solar panels? Ans. In the lab, scientists have developed solar panels that are 40% efficient, or even slightly more than that. But there’s a big difference between the lab and the real world. Manufacturers haven’t yet figured out how to take these experiments and produce economically viable products. Q:.Should I choose the most efficient solar panels available? Ans. High efficiency doesn’t mean better, it just means your panels use less space on your roof. Efficiency isn’t usually a critical concern unless you have an unusually small space for your solar panels. The most efficient solar panels cost a little more, so they’re a less common choice. Pre-negotiated solar deals typically offer a choice of different recommended panels, including a more efficient panel for smaller spaces. If you have a normal amount of roof space to work with, you can focus more on the cost of the solar panels and the annual expected kilowatt production of your panels. We’ll help you choose the best panel for your particular needs and design a customized system around them. To request your free, no obligation system design and price quote, Get Customize quote. Q:.How do I (we/you) determine how large a system I’ll need? Ans. The size of the system is usually directly proportional to the amount of power you use. As part of the proposal process Solarix24x7 will perform a site assessment, analyze at least twelve months’ worth of utility statements, and raise the question of near-term (3-5 year) expansion and business plans. With that information, taking into account the specifications and limitations of the components, www.solarix.in will present recommendations for your input and feedback the goal of making sure you feel the ultimate path chosen is ideal. Ans. It depends. Roof-mounted tends to be less expensive as they require no support structures and are most often not visible to passersby. On the other hand, ground-mounted systems can usually be oriented and tilted to optimize production. Through understanding your business and your needs, Solarix 24×7 will present a solution that optimizes for your business and your needs. Q:.What happens on dark/cloudy days? Ans. Unlike the early days of solar power when systems had to be sized for peak loads, a grid-connected PV system seamlessly switches to draw from the utility grid when needed. As such, Solarix 24×7 uses an annual production target, averaging out sunnier days with cloudy days. Q:. Do I need batteries? Ans. Is back-up power critical to your business? For most businesses, the answer is “no” and if you don’t have a back-up solution today, an ordinary grid-connected PV system will leave you in the same position. However, if you require back-up power or are looking to upgrade your business’s disaster preparedness, Solarix 24×7 can design a battery storage solution for your PV system to automatically switchover in the event of a power outage. Most customers inquire about batteries and ultimately choose to do without based on cost. Q:.I have plans for expansion. Can I plan for this now? Ans. We frequently take into account future growth plans when designing your system. The choice of inverter can be influenced by near-term expectations about power usage and in some cases it may make sense to include excess capacity now and simply add more modules later. We’ll discuss this with you and explore a variety of options to meet your needs now and in the future. Q:.How much weight will this put on my roof? Ans. Solarix 24×7 PV systems typically weigh no more than 3-4 lbs/sq ft, and most roofs can accommodate 2-3 times that amount of ‘dead load’ weight and your specific roof load capacity will be taken into account with our proposed design. Q:.How can you get best power performance? Ans.In addition to efficiency and size, there are other factors that affect how much power your solar panels will generate. It’s important to make sure panels are installed in the optimal position, which is why you want to work with a highly experienced provider like . The installers we work with will determine the correct orientation for your panels based on the direction and angle of your roof. They’ll also make sure the panels are installed with the proper amount of airflow so they stay cool– solar panels don’t like it too hot, and they’ll produce more power if they’re the right temperature. If you just go to the Big Box store and slap on a bunch of panels, you could end up wasting a lot of money. A high performing, long lasting solar array can incorporate dozens of factors in its design.
? In India, your roof ideally should face south, but a quality design often compensate for other directions. Roof and Panel Pitch? The “pitch” or tilt of your roof can affect the number of hours sunlight you receive in an average day throughout the year. Large commercial systems have solar tracking systems that automatically follow the sun’s tilt through the day. These are expensive, however, and not typically used for residential solar installs. Temperature? Some panels like it hot but most don’t. So, panels typically need to installed a few inches above the roof with enough airflow to cool them down. Some photovoltaic panels are designed to be more efficient in hotter climates. Hot temperatures can reduce the efficiency of solar panels. Shade? Basically, shade is the enemy of solar panel efficiency. With poor solar design, even little shade on one panel can shut down energy production on all of your other panels. Before we design a system for your home, we’ll conduct a detailed shading analysis of your roof to reveal its patterns of shade and sunlight throughout the year. Then, our local installation partner conducts another detailed analysis to verify our findings. This is just one of many reasons to work with a highly experienced solar provider like . Q:. What rebates are available? Ans. Rebates vary from year to year depending on the funding for particular programs and the size of the PV system. www.solarix.in will give you the most current information and include that in your proposal. Q:.How do we apply for a rebate? Ans. Relax, that’s our job. We believe that the easier we can make the purchase of a clean photovoltaic system, the more people will buy them, the better off we’ll all be. That’s why we work to make the process as easy as possible, and handle all the rebate and utility company paperwork for you. Ans. The best source of financing is usually the bank or finance company that you currently work with. If you like, we’re happy to make arrangements. 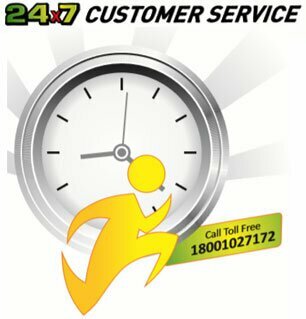 Please contact 1800 102 71 72 (Toll Free). Ans. The size of the system is the largest determinant of the price, and the savings rise accordingly. In most cases, the payback period for the investment in a photovoltaic system is 5-7 years. Q:.What’s the impact on my property taxes? Ans. Photovoltaic systems are exempt from property taxes in India. Q:.We don’t own the property on/in, which we operate. Can we still go solar? Ans.Yes, it’s relatively commonplace for property owners to allow their tenants to make improvements in their facilities. Q: Will a roof-mounted system void my roofer’s warranty? Ans. We frequently coordinate our work with roofers to ensure warranties remain in force and the PV system installation also comes with a 5-year warranty which includes roof integrity. Q: My building’s roof needs replacing soon. Does it make sense to integrate the installations? Ans. Yes. If you’re planning to replace your roof in the next few years, it may make sense to move that up and install the PV system at the same time as the new roof is going on. Q: What if my roof needs repair after the PV system is installed? Ans. Spot repairs are easily accommodated as any since module is secured with only four 5/16” hex bolts. Non-penetrating ballasted systems can also easily be moved to accommodate repairs. Q: What kind of county/city permits will I need? Ans. We always need an electrical permit from the city or county and some require a building permit as well. Solarix 24×7 and our licensed installers will handle all of this, from applications to inspections. Q: How long will my installation take? Ans. This depends mostly on the size of the system, site access, and the distance between the array(s) and the main service. In general, figure one week for each hundred modules to be installed. Q: Will installation interfere with my normal business operations? Ans. Most work is conducted on the site of the array installation (roof or ground) so your operations will likely not be impacted. We coordinate our efforts with your team, from deliveries, securing equipment, to crane usage. For example, we always schedule the final tie-in around your schedule. Q: What are the maintenance procedures and costs? Ans. Solar PV systems are solid-state technology, have no moving parts and require no maintenance beyond cleaning, which can typically be done with a garden hose. Most systems should be cleaned 2-4 times a year, concentrated in the drier seasons. Systems in agricultural areas will likely require monthly cleaning. (We have an automated washing solution – ask us about it.) Inverters are also solid state and require little to no maintenance beyond regularly checking the cooling fan outlets and cleaning when necessary. Mounting hardware is either aluminum or stainless steel and is rustproof. Q: Does cleaning the modules require any special expertise or equipment? Ans. A garden hose will typically do, though some customers prefer to use a high-pressure sprayer from the ground when the array is accessible. Q: What parts will break first? Ans. The inverter(s), which typically have a useful life of 15-20 years, will be the first thing to fail. Q: What about rust and oxidization? Ans. All hardware is made for outdoor use and is made of either rust-proof stainless or galvanized steel or aluminum. Q: What is the difference between solar panels versus building integrated photovoltaic products? Ans. Solar panels are flat panels of photovoltaic arrays mounted on a roof or a pole to capture the sun’s rays. Building integrated photovoltaic materials are PV arrays that are integrated into the building material itself, primarily windows, roof tiles, or walls. Solar panels work well for retrofits or remodels while BIPV are appropriate for new construction or a major renovation. Q: Someone told me that the energy required to make PV panels is greater than they will every produce. True? Ans. Glad you asked! We’ve heard this one before. Numerous studies indicate it takes 2-3 years to generate as much power as is required to manufacture photovoltaic, and the Environmental Working Group’s Green Energy Guide reports an energy return on investment for photovoltaic of 9-to-1, greater than most other electricity sources (i.e., coal: < 8:1, wind: 5:1, nuclear: <5:1, biomass: 3:1). Q:I hear manufacturing PV panels creates toxic by-products and waste. True? Ans. Another good one, which we’ve also heard before. There’s less documentation on this than the energy return on investment question, suggesting it’s probably not an issue, but the Environmental Working Group’s Green Energy Guide reports the manufacturing and operation of photovoltaics creates far less emissions than any other source of electricity analyzed. Q:How much does a solar electric power system cost? Ans. A 2kW solar electric system will cost approximately Rs200000. That total includes the cost for all components – solar panels, panel mounts, and inverter – and labor associated with installation. Q:How much will I really save on my utility bills from a home electric solar power system? Ans. Of course this is a relative question. It depends, in part, on how much electricity you use and how efficient the appliances are that you operate. That said expect to generate excess electricity in the summer (when days are long) which can potentially offset the energy you use from the grid in the winter. A combination of energy efficient appliances and light bulbs can help reduce your homes energy bill by over two-thirds. Q:.the difference between solar photovoltaic and solar hot water systems? Ans. While both types of solar systems capture energy from the sun, solar photovoltaic systems use photovoltaic panels to produce electricity. Solar hot water, or thermal, systems capture sunlight to heat water for domestic use, to heat a swimming pool, or for a radiant heating system. Q:.What are solar hot water systems? Ans. Solar hot water systems, broadly termed solar thermal systems, use the sun’s energy to heat water. Solar hot water systems can be used to heat a hot water tank or to warm a home’s radiant heating system. Swimming pools and hot tubs use a modified solar hot water system for heating water. Q:.How do pool heating systems work? Ans. Pool heating systems use a modified solar hot water system to capture the sun’s rays to heat your pool or hot tub. Q:.much maintenance do solar energy panels require? Ans. Solar photovoltaic panels require little maintenance – no need to wash or dust. It is, however, important to place panels where they will remain clear of shade and debris. Thus you will have to wipe them off if too much snow or leaves fall on them. Solar hot water collection arrays don’t need much attention either. It does help to periodically use a window wash brush, biodegradable soap, and water to clean the tubes. Q:. Can I use a financing system? Ans. Yes. Consider using a home equity loan for the purchase and installation costs of a solar photovoltaic or solar hot water system to take full advantage of tax deductions. Solar energy systems are viewed as a major home energy savings upgrade and there are financial tools out there that reward you for your efforts. Remember, installing a solar energy system is comparable to any other upgrade you might do to your home, such as installing a new deck or remodeling a kitchen. Q:. Do I need special insurance requirements? Ans.Yes. Standard homeowner’s insurance policies usually suffice to meet electric utility requirements. Electric utilities usually require that homeowners who take advantage of net metering sign an interconnection agreement. Q:. Will I need a building permit to install a solar energy system in my home? Ans.Yes. You’ll need to obtain building permits to install a solar photovoltaic or solar hot water system. Similarly, building, electrical, and plumbing codes also apply. That said, residential solar power systems do not use “radical” building techniques and most jurisdictions have building codes that fully embrace solar energy technology. Solar professionals will roll the price for permits into their cost estimate. Q:.What if I’m the first person I know to install a photovoltaic system on my home? Ans. First off, congratulations! Secondly, there are plenty of resources out there. If you happen to be one of the first in your area to install a solar PV system, you can work with us&local building officials to successfully install your photovoltaic system. Q:.When should I seek a solar professional? Ans. Although solar energy systems work in parallel with conventional residential electrical and plumbing systems, there are quirks in the process well suited to seeking out professionals who specialize in solar power installation. Solar installation professionals can help you determine the type and size of system most suited for your needs. Q:. What should I ask a solar professional installer? Ans. Solar professional installers can take the guesswork out of installing a solar power system. Whether you are considering solar photovoltaic, solar hot water, or solar heat for your pool, a www.solarix.in can help you determine the type and size of system that will work best and guide you through the process. Q:. How can I calculate the cost and payback time from a solar power installation? Ans. You can estimate how much a solar electric or solar hot water system may cost if you determine your current energy needs and costs and compare against your future anticipated use. Once you have a sense of how much energy you use, you can evaluate the cost of purchasing and installing one or both of the technologies. Luckily in today’s market you can take advantage of taxation, credits, rebates and other financial incentives that create attractive and competitive prices for solar PV and hot water systems. Q:.How long will it take to install a solar power system in my home? Ans.Planning, configuring, and doing any custom ordering for your solar energy system can take up to a few weeks. However, the installation process itself can typically be completed in only a few days time, in many cases even less. Q:. How can www.solarix.in help me shop for solar? Ans. www.solarix.in saves you time, money, and headaches by buying quality products. We have highly experienced solar professionals with a track record of success and satisfied customers. We encourage you to look around our site for all the information you need on solar energy installation. When you’re ready, all you need to do to get started is tell us about your project, and you can be assured you’ll receive competitive bids. Q:. What components do I need to install a grid-tied solar electric system? Ans. You will need a photovoltaic array to capture the sun’s energy, an inverter to convert the direct current (DC) produced from the photovoltaic cells into alternating current (AC) used by your home, and a house utility meter – called a net meter – that can record both the electricity produced from your home’s power system as well as any power you may use off the grid. These three system components are then connected through a series of wiring. The photovoltaic panels are secured to your roof with panel mounts or are installed on poles that can be adjusted for sun angle. Q:. What is a net meter? Ans. Net meters look very much like other outdoor meters with one notable exception – they spin both forwards and backwards recording both the power produced and power used. Q:. Do I need battery backup for my solar panels? Ans. Probably not – a backup battery bank can add as much as 25% in cost to a residential solar PV system. It’s not necessarily more efficient either – a same sized solar array will yield about 7–10% less energy if it’s battery-tied than its grid-tied counterpart. Though you will remain tethered to your local utilities’ grid, you will not have to worry about not generating enough power. You also gain the advantage of offsetting rising utility costs. Most solar photovoltaic experts do not recommend adding a backup battery system unless there is concern about a long utility outage or the residence is in a remote location. Q:. How much space do I need for a solar photovoltaic system? Ans. In bright sunlight, a square foot of a conventional photovoltaic panel will yield 10 watts of power. That’s a helpful rule of thumb for calculating a rough estimate of how much area you might need. For example, a 1000 watt system may need 100 – 200 square feet of area, depending on the type of PV module used. Q:. How many solar panels do I need for an electric solar power system? Ans. The size of the photovoltaic system is correlated to your home’s energy-use needs, available space for a system, and overall costs for the system components and installation. Q:. How much shading is too much for solar photovoltaic panels? Ans. Unfortunately shading a photovoltaic system dramatically decreases its output. Just shading the bottom row of wafers alone amounts to an 80% reduction in efficiency. So above all, don’t shade your array! Ans. 1 Is there good southern exposure? Orienting solar panels to the south maximizes the effectiveness of energy collection. 2 Is the exposure free of trees or buildings that could shade the panels or drop debris on them? Shading photovoltaic panels dramatically reduces their effectiveness. What is the pitch of your roof? Most roofs, from flat to 60-degrees can accommodate photovoltaic panels. Q:.Do I need to have south facing exposure to have a solar energy system? Ans. Although southern exposure increases the effectiveness of a residential solar power system, your home may still work for solar power without having south facing exposure. Seek advice from a professional solar designer or installer to ensure success. Q:. What other factors are important to consider when installing a home solar energy system? Ans. The location of your home and the local climate will play into where you place and how you install your solar electric or solar hot water system. Wind speeds, heavy snow loads, and salt water can all affect a solar array. Understanding how those inputs effect performance will determine the types of mounts or how the arrays are angled. Q:. Is there any MNRE subsidy available for setting up solar projects under MNRE finance? Ans.The Ministry is implementing a “Grid Connected Rooftop and Small Solar Power Plants Program” in which the solar rooftop plants from 1.0 KWp to 500 KWp capacities are set up. The Ministry has set a target for installation of 100 GW Solar Power of which 40 GW is to come from grid connected solar rooftop plants. Since the target has been set, it will not be possible to provide Central Finance Assistance (CFA) for all the 40 GW such solar rooftop plants. CFA of 15% of the benchmark cost will be provided only to following categories. Residential: All types of residential buildings Institutional: Schools, health institutions including medical colleges & hospitals, educational institutions (Both Public & Private), R&D instructions etc. Government: Both Central & State Governments buildings covering all Government office, Government PSUs, all buildings owned by Government directly or by any Government owned societies, companies, corporations and organizations, all Panchayati Raj buildings. Social sector: Community centers, welfare homes, old age homes, orphanages, common service centers, common workshops for artisans or craftsman, facilities for use of community, any other establishments for commons use etc. Q:. What is IREDA’s Project Financing Scheme for Solar energy sector? Ans. IREDA promotes, develop and extends financial assistance for renewable energy and energy efficiency / conservation projects. The IREDA financial services include direct financing, equipment finance, business development finance. Loans for manufacturing facilities of energy equipment, and loans to banks financing institutions for on-ending. IREDA also promotes and finances the delivery of energy services and equipment, implementation of Demand Side Management (DSM) and the development of Energy Service Companies (ESCOs), Loan conditions are preferential compared to commercial loans. Q:. Is there any Capital Subsidy Scheme for Solar Lighting and Small Capacity Solar PV systems? Ans. Capital Subsidy scheme is available only for power plants from 1 Kwp to 500 Kwp capacities. Small power plants of capacities less than 1 Kwp are not eligible for capital subsidy. However, Solarix solar power plants are priced to incorporate subsidy in it. Solarix Smart Solar systems are cheaper than regular inverter battery systems. The grid by pass technology in Solarix creates enough savings in electricity bill that becomes free in 5 to 6 years. The solar modules give savings for 25 years. Q:. How do we get bank loan to set up off-grid solar power plants? Ans. It is easy to install Solarix. You can go on line http://solarix.in and click on 3 Easy steps to own solar power plant. In three easy steps you can own a solar power plant and if you are eligible for capital subsidy Solarix will take care of that process for you. Q:. How can channel partner help to get installed solar power plant in India? Ans. Solarix is a registered channel partner of MNRE. You can go on line http://solarix.in and apply on line to own Solarix smart solar systems.